After previously listing our picks for the Five Biggest Stars of the 1950s and the Five Biggest Stars of the 1960s, we turn our attention to the 1940s. 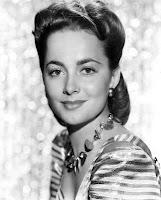 The major Hollywood studios were still at their peak, though Olivia de Havilland's 1944 legal victory against Warner Bros. planted the seeds of change. World War II made a major impact, too, as some of cinema's biggest stars joined the Armed Forces. As with our other Biggest Stars posts, our criteria focused on boxoffice power, critical acclaim, and enduring popularity. 1. 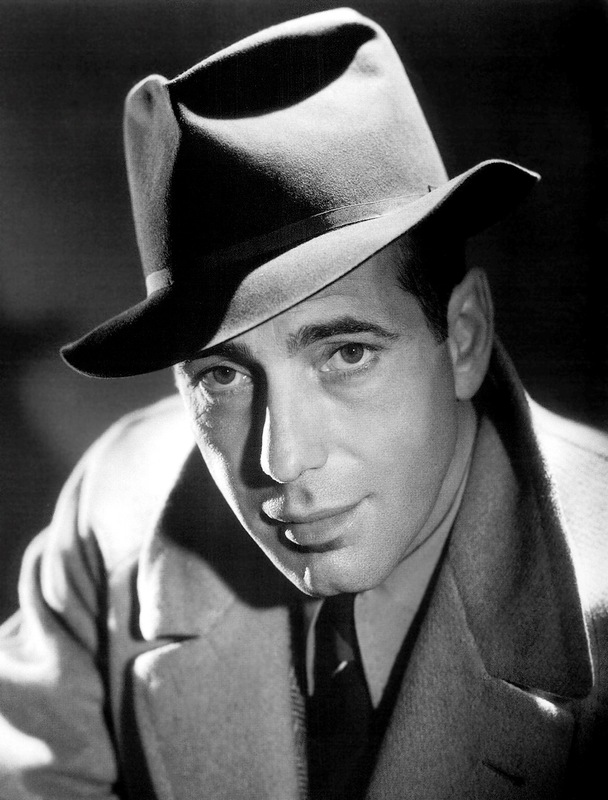 Humphrey Bogart - High Sierra cemented Bogart's stardom in 1941 and he followed it with one of the most successful decades of any actor. 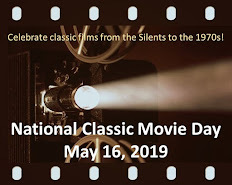 His filmography for the 1940s includes: The Maltese Falcon (1941), Casablanca (1942), To Have and Have Not (1944), The Big Sleep (1946), Dark Passage (1947), and Key Largo (1949). Note that this list includes Bogie's two most iconic roles, as Sam Spade in The Maltese Falcon and Rick Blaine in Casablanca. 2. Olivia de Havilland - Ms. de Havilland started the decade with her final two pairings with Errol Flynn (Santa Fe Trail and They Died With Their Boots) and ended it with Best Actress Oscars in 1947 (To Each His Own) and 1949 (The Heiress--likely her most popular role among classic film fans). 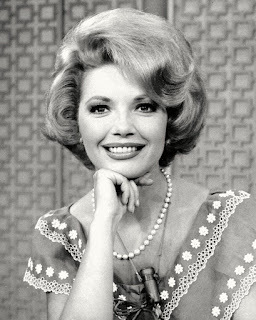 In between, she earned critical acclaim for films like Devotion (1946) and The Snake Pit (1948). 3. Cary Grant - Cary was an established star at the start of the decade and maintained that status with a string of popular films: The Philadelphia Story (1940), My Favorite Wife (1940), Suspicion (1941), Notorious (1946), and The Bishop's Wife (1947). His career would continue to thrive in the 1950s as well. 5. Bette Davis - Although she was perhaps a bigger star during the previous decade, Bette Davis still forged a glittering career in the 1940s with films such as The Letter (1940), The Little Foxes (1941), Now, Voyager (1942), and The Corn Is Green (1945). Honorable Mentions: Barbara Stanwyck, Gary Cooper, Bing Crosby, and Bob Hope. Certainly your criteria and the stars align, and I can't think for the life of me who I would bump to squeeze the guys up the ladder. In terms of box office, I think people often forget how big Crosby and Hope were. Can't argue with any of the selections, however one could come up with another 5 lists that would be equally valid in nature. That is true, but it's also the fun of making lists like this! Consider Errol Flynn. In addition to the two with Dehaviland already mentioned-add Gentlemen Jim, The Sea Hawk and Adventures of Don Juan. I also loved his comedies in the 40s though they may have not done as well. One could make a strong case for including Flynn. He had a strong first half of the decade. Though his star power faded toward the end, he had some fine performances in THAT FORSYTE WOMAN and OBJECTIVE BURMA. John Wayne ahead of Bing Crosby in the 1940s? No way. Also where is Joan Crawford? Like a previous commenter said, I don't know who I'd knock off this list to add anyone else. It's hard to argue with these stellar selections. This is a ridiculous list because you offer no criteria of what it means to be "the biggest star of a decade." All you do is list their films. Big whoop. Your criteria seems to be "the biggest stars that we remember today in 2018" - not "the biggest stars who earned the most money" or "the biggest box office draw" etc. The "biggest stars" for us today in 2018 were not necessarily the "biggest stars" for people in the 1940s. Stars like Greer Garson and Ronald Colman were HUGE in the early-mid 40s - Colman alone made two of *the* biggest films of the early 40s - The Talk of the Town and Random Harvest. Both films were nominated for multiple Oscars, he was nominated Best Actor for Random Harvest (he won it in 1947 for A Double Life); Garson won Best Actress for her 1942 role in Mrs. Miniver. Colman, Garson, Gable, Loy and other stars were HUGE box office draws in the 40s. At the end of the 40s, Colman was named in a poll of entertainment media representatives as the 3rd most important male actor in movies (behind Chaplin & Olivier). Your list has no criteria other than "these are the stars we remember the most today and they made these great movies." That's pretty arbitrary and incredibly uninformed. 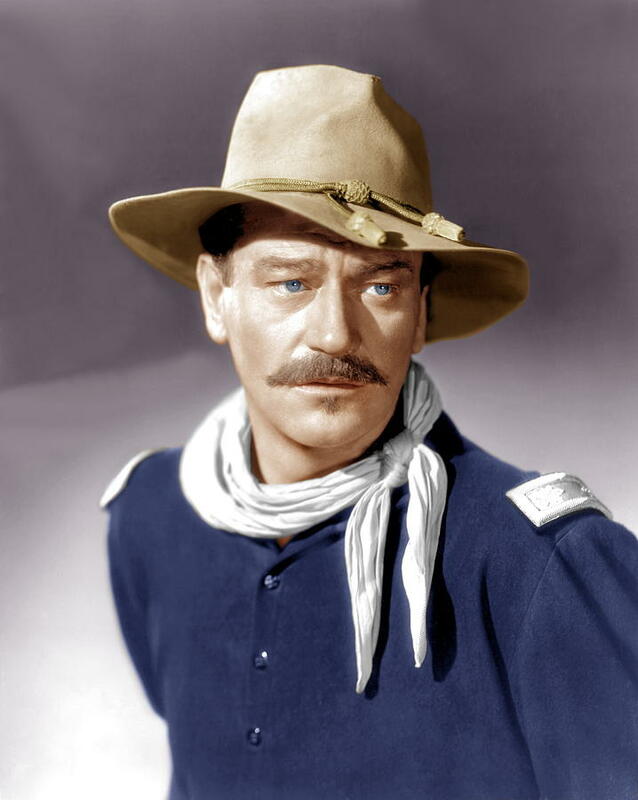 Also, to name John Wayne as one of the biggest stars in the 1940s instantly discredits your list-it's utterly hilarious to include him and NOT people like Spencer Tracy, Myrna Loy, Clark Gable, Greer Garson or Ronald Colman. In no way, shape or form was Wayne bigger than any one of them. I always enjoy dissenting opinions! I think Colman was a terrific actor--and one of my personal favorites. But in terms of enduring popularity, I can't see him replacing any of the five listed. That's the one criteria where he falls short compared to others for some reason. By the way, I think DOUBLE LIFE was an award for his body of work to date. It's not among his best films nor performances. Great list but there were so many to choose from. I would have been tempted to include Rita Hayworth, and Susan Hayward, and Joan Crawford finally broke through the Oscar hurdle.Though favorites were Gene Tierney and Barbara Stanwyck. I always find it interesting to read divergent viewpoints especially on these biggest stars of a particular decade lists. The lists are not meant to be a showcase of your favorite performers from these decades. If that were the case I believe you would have shared about some different actors and actresses. I think your choices are well thought out, Rick. James Stewart's TV Series "Hawkins"